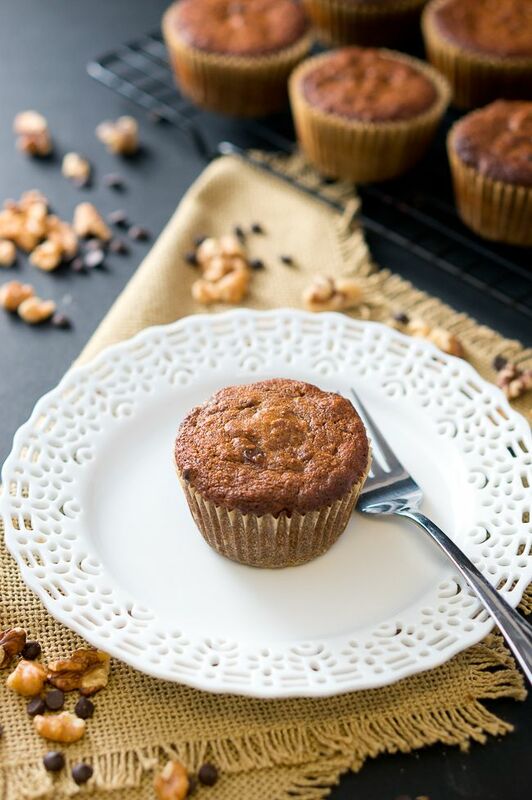 Today, I am sharing with you a favorite Paleo banana nut chocolate muffins recipe. I love how they turned out – moist and delicious, but not overly sweet. 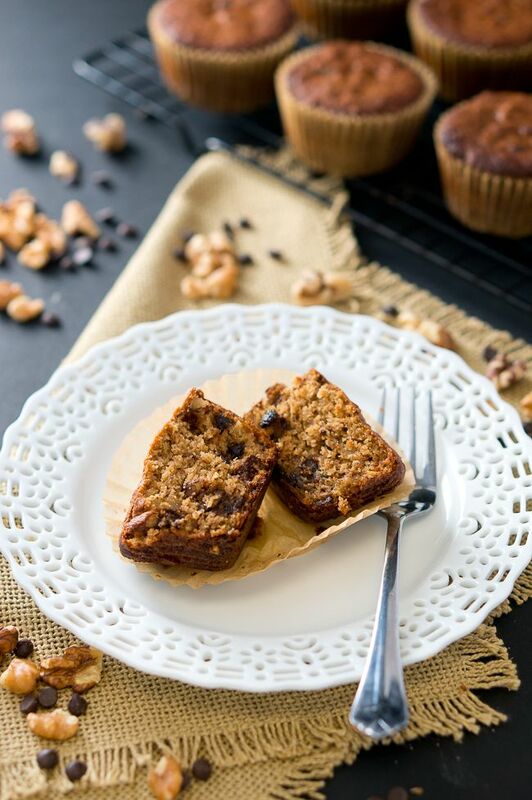 You can taste the bananas, nuts and chocolate chips – the muffins taste just like banana bread. I just returned from a long fun weekend away in Mississippi with my family but I am excited to get back home to my routine, meal planning and cooking at home. These muffins are paleo, gluten-free and dairy-free. I made with almond butter, coconut oil, and coconut flour. 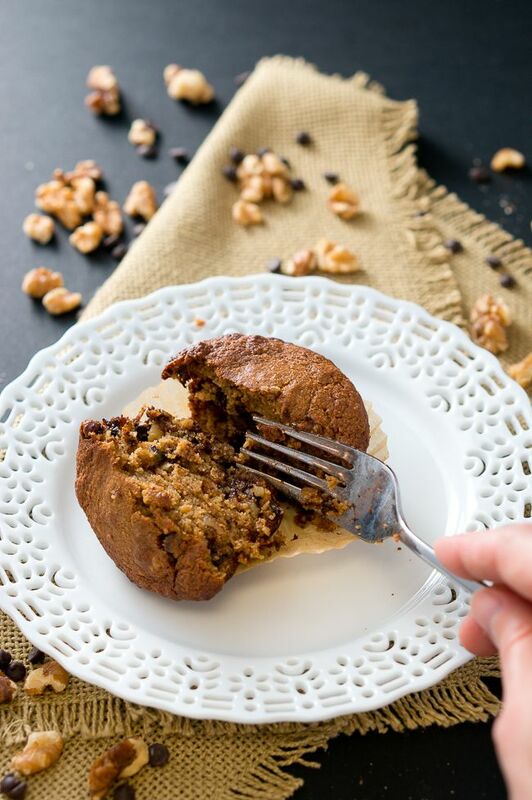 This combination creates the perfect texture for these paleo banana nut chocolate muffins. This is such an easy recipe. Just 10 minutes prep work and pop them in the oven for 25 minutes. 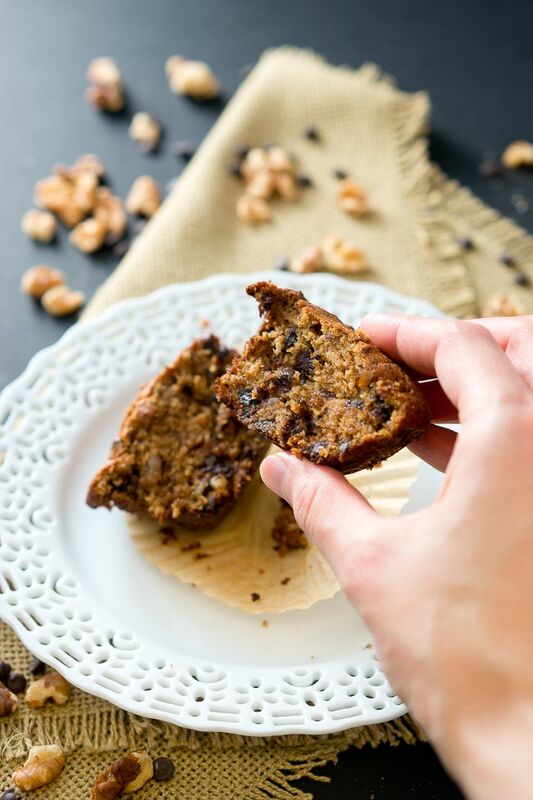 These quick & easy muffins are great as a snack, for dessert and even breakfast. Preheat the oven to 350ºF. Place muffin paper cups in the cups of a muffin pan. Add the coconut flour, coconut sugar, baking soda, baking powder, cinnamon and sea salt to the wet ingredients and mix well. Fold in the chocolate chunks and chopped walnuts. Pour the batter into the prepared muffin pan (fill the paper cups to the top). Bake in the preheated oven for about 25 minutes. A toothpick inserted into the center should come out clean. Remove from oven and allow to cool on a wire rack for about 10 minutes. 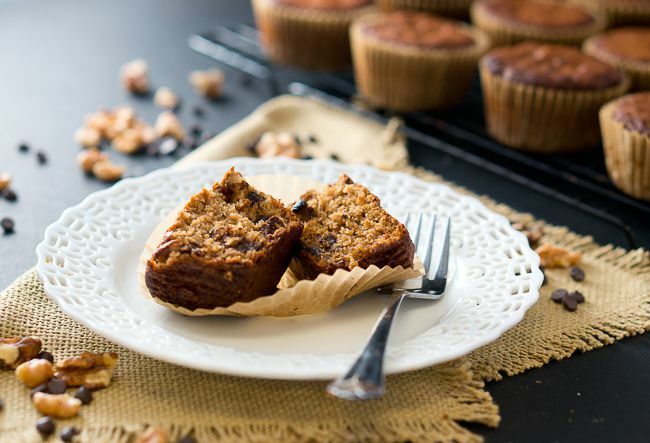 Remove muffins from muffin pan and place on a cooling rack to finish cooling. 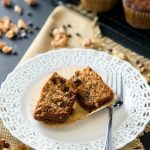 Rich, soft, and moist Paleo Banana Nut Chocolate Muffins - they are gluten free, grain free, dairy free, and Paleo. So delicious! 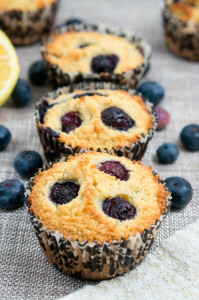 I love a good healthy muffin recipe and these look great! Your photos are making me huuuuunnnngggrrrry. These look sooo good! I just love chocolate chips in all things banana. And I love that these muffins are junk-free! I made these over the weekend and YUMMY! They freeze well and the kiddos can’t get enough. thank you! Thanks for the great comment, Angie! SO glad you and your kids liked them! These muffins are definitely one of my favorites too! Our kitchen smells so yummy after making these & they are a hit with my hubby. Thanks so much for sharing. I cannot wait to try one myself but I am making the lemon/blueberry ones as soon as I post this. Thank you, Heather! These are my favorite banana muffins! 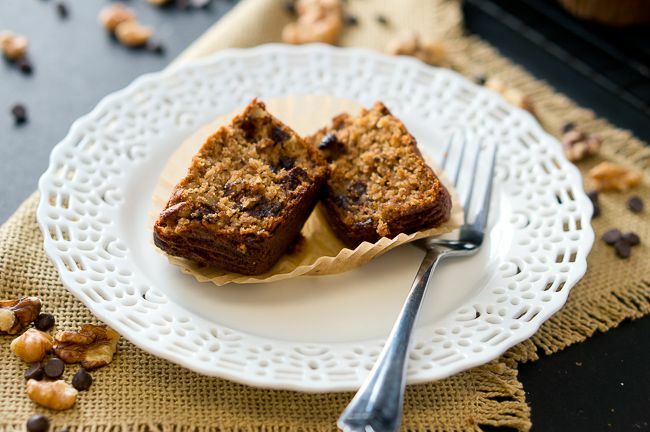 I think you might also like the Paleo Banana Coconut blondies. 🙂 Check them out. These muffins look amazing!! I gotta make these for my next brunch gathering!!! I love using banana to sweeten things! How can I store them? They are an after school snack for my son and I find they get a little ‘mushy/moist’ in the fridge and wondering if they freeze and defrost well? I usually store them on the counter for a few days because they don’t last long. I haven’t tried to store them in the freezer but I guess they might get soggy when you defrost them from all the condensation. Glad to hear that you love them! I love to make them every time I have some leftover bananas that are about to go bad. They are wonderfully delicious! The best recipe ever! Look delicious! Can I make it as a whole cake? If yes, how long to bake? Hi Aline, That’s a great question! I have never tried to make these muffins as a cake. I will have to give it a try now! 🙂 I guess it might take around 30-40 minutes, or until an inserted toothpick comes out clean.